Here is where we start our journey. George and June stop for a picture in Calais. The sea bringing back those memories memories of sea-faring days gone by. What it all really means. Here are the pictures of the 50th Anniversary celebration on November 7th. Check out George & June's contribution to the Coleman family tree. Add to the memories of George & June by leaving a message or signing the guest book. Dad knew mum from a very young age, 14, at school. They both attended the same secondary school in London. Anyway dad left school at age 15 and went and joined the services. The UK still had Compulsory National Service in the 40's n 50's. So off dad rushed to join up with the Royal Marines. He served his time all over the world from Singapore to Korea and back. You must have heard the old story, a sailor has a gal in every port; well, this is true of dad as well. On his return home, Grandpa Pop and Nan got that letter you may have heard about before, the one that warns you to lock up your daughters because the ole man is coming home from sea. Dad's friends from the marines always enjoyed a good booze up, and this was true after he returned from his service. They ended up one night going to a pub called 'The Archway Tavern.' On this particular night, they had a dance going on at the back of the Hall. So dad and his friends decided to gatecrash this party. After getting in, a certain gal caught the eye of dad and all his friends. He told his buddies that he knew that certain gal in question. He even boasted to all his friends that he knew this gal from school. So this is how dad and mum finally met. They wined and dined a few times and were married after about a year, November 6th, 1954. The rest of the story is what you see now, some fifty years later. 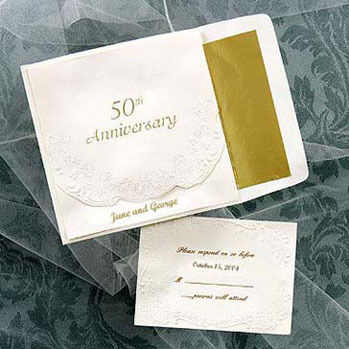 If you click the Golden '50' button on the left, you will be provided with some fine music that June and George enjoy. Here is what you will hear: The Last Night of the Proms Collection, BBC Concert Orchestra under the direction of Barry Wordsworth. What a batch of Tunes!! !